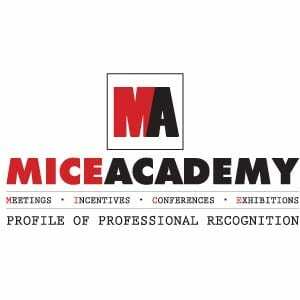 The commencement of the online CPD(Continuing Professional Development) MICE Programme has drawn much interest from the corporate/association event managers. With the tag-line ‘Supporting Higher Standard Initiatives within the southern African MICE industry’ – the communication process is to allow further subscribers to the CPD Programme an opportunity of face-to-face contact with both the Academy and their many strategic partners. The Academy is delighted that the well-renowned exhibition stand designers and builders Scan Display will be undertaking the MARKEX stand in June 2014 at the Sandton Convention Centre. The reputation of Scan together with MD Justin Hawe’s entrepreneurial flair and passion continues to positively grow both in southern Africa and beyond our shores. Commented the Academy ‘We are planning to draw event managers and their various management to our stand for a variety of reasons plus viewing the design opportunities for commissioning Scan Display for corporate and association exhibition purposes going forward’. The Academy’s stand is 12 square metres within a high traffic area. MARKEX can proudly boast over 11,000 visitors during the three show days from a wide variety of marketing sectors. Event managers from all sectors will be encouraged to visit the stand during the 10th and 12th June at Sandton Convention Centre.